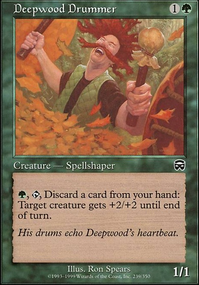 Whenever an opponent casts his or her second spell each turn, draw a card. Love the deck bro! We all should at least have one deck like this one. Did you try this deck with Kraum, Ludevic's Opus and Ludevic, Necro-Alchemist as commanders? they give you some draw, in case you're looking for treasure hunt. And also a bit of multiplayer flavor. 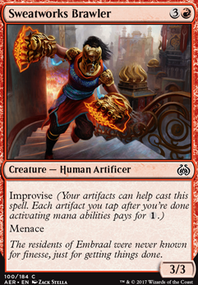 Yidris, Maelstrom Weilder: there are some equipment that are treasure based so a mild voltron theme could be a thing, giving you an additional wincon via Cmdr dmg, while also cascading into your other treasure spells. Ikra Shidiqi, the Usurper or Reyhan, Last of the Abzan and Kraum, Ludevic's Opus or Ludevic, Necro-Alchemist : Ikra offers some life gain, though looking through treasure related creatures a majority are even if not top heavy. Reyhan would require some +1 counter devotion I think. Both U/R partners offer card draw in a different way. Kydele, Chosen of Kruphix or Thrasios, Triton Hero and Vial Smasher the Fierce : Considering there are ways to draw cards off of treasures it could be viable. 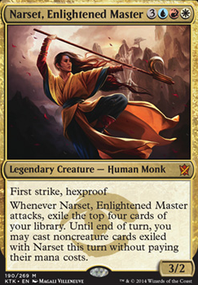 Thrasios on the other hand is a mana sink that can ramp/net cards. 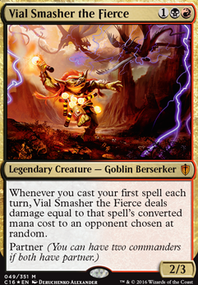 Vial Smasher is just a bit of fun that give you the colors you need. 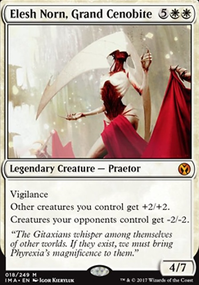 Silas Renn, Seeker Adept & Tana, the Bloodsower : Silas could be good with an artifact heavy deck. Tana I think serves only for colors... unless you can sacrifice the saps for treasures. Those are all great suggestions triproberts12. 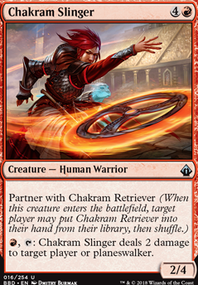 I was aware that Rakdos, the Showstopper does not interact with Chance Encounter , and instead am using it as a pseudo-boardwipe with a big upside (6/6/ flying trample). 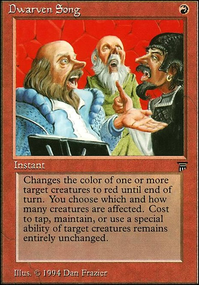 The splash for black was for the tutors more than anything else, but you have a good list to supplement there as well. 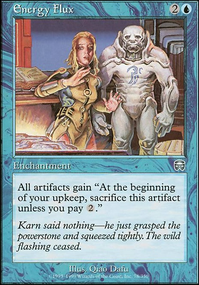 I chose not to go with Zndrsplt and Okaum as the commanders because I felt together they would be too over costed for the deck (as commanders go) and not come down early enough to impact the game - instead Vial Smasher the Fierce helps put pressure on our opponents while we are casting our spells that allows us to flip coins and Kraum, Ludevic's Opus nets us 5 damage to opponent plus an additional 4 in the same turn. I will definitely consider some changes though to the tutor package. Thanks for the comment Supertek great suggestion! Idk how I forgot the spicy new wheel Emergency Powers . Breya is just for colors. I agree Kraum, Ludevic's Opus + Tymna the Weaver are a good option as they provide utility and synergize with the deck better but currently in the building process I'm not sure I can make the cuts to 98 haha. 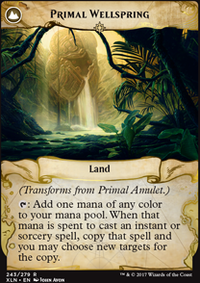 I'm mostly debating cutting a color all together and going either esper or jeskai, but the artifacts from Smothering Tithe do Mana fix and the deck is mostly blue right now. Don't forget Emergency Powers ! Is Breya just for the colors? I'd be tempted to run Kraum, Ludevic's Opus + Tymna the Weaver instead, I think. This is a challenging tribe to build around. I would recommend checking out Saffron Olive's video on finding the competitive advantage of your tribe. 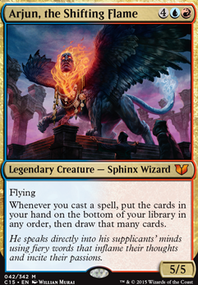 Also, Tomer built a phoenix tribal deck for Commander Clash not too long ago. Watch the end to see how he wins, because it's pretty great. 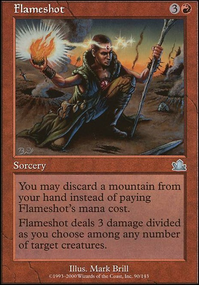 In terms of specific cards, I think Mana Echoes would go well, since you need a lot of mana to enable phoenixes. Thundermaw Hellkite could be good. 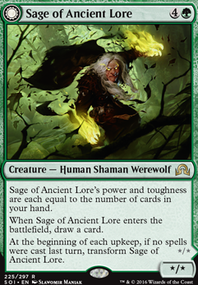 Lose Temple of the False God and Dormant Volcano , though, because those are awful cards. 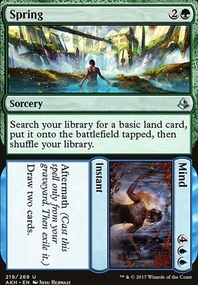 The former because it's useless as a 3rd, 4th, or 5th land, and the latter because it's just asking to be strip-mined and is both slow and makes colorless mana. Finally, you might want to consider adding a second color. 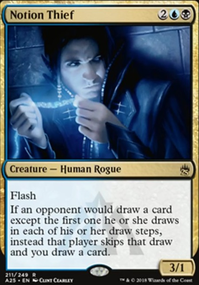 For example, in blue, you gain access to Favorable Winds , Gravitational Shift (It's freaking Elesh Norn, Grand Cenobite in your deck), Sprite Noble , Stormtide Leviathan , Windstorm Drake , Warden of Evos Isle , Windreader Sphinx , Kindred Discovery , Call to the Kindred , Distant Melody , Mistform Warchief , Faces of the Past , Riptide Shapeshifter , Saheeli's Artistry , Sakashima's Student , Sakashima the Impostor , Metamorphic Alteration , Phantasmal Image , Clone , Quicksilver Gargantuan , Protean Raider , Mirror Image , Gigantoplasm , Stunt Double , Clever Impersonator , Dack's Duplicate , Phyrexian Metamorph , Coastal Piracy , and Bident of Thassa . 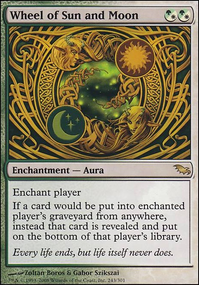 In white, you get Archon of Redemption , Energy Storm , Magus of the Moat (and Moat if you have unlimited money), Radiant, Archangel , Serra Aviary , Soulcatcher , Spirit of the Spires , Harsh Mercy , Shared Triumph , Kindred Boon , Mirror Entity , Radiant Destiny , . 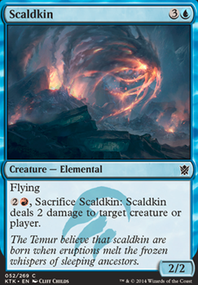 Going into Jeskai also gives you Teferi's Moat and Thunderclap Wyvern . 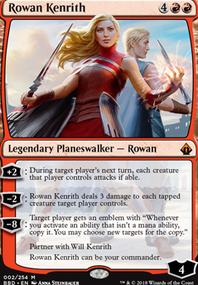 Tibor and Lumia would be my choice for an Izzet commander, Aurelia, the Warleader would be my choice for Boros, and Kraum, Ludevic's Opus + Ishai, Ojutai Dragonspeaker would be my choice for Jeskai. I'm with Nexys here, I'm loving this deck. I might suggest some curses! It'll lead to a really fun dynamic, and attacks will be much more frequent. Cards like Ludevic, Necro-Alchemist, (Kraum, Ludevic's Opus is also good), Curse of the Nightly Hunt is devastating, Goblin Spymaster serves much the same purpose as the above, Curse of Opulence gets the chaos going early, Curse of Verbosity is mutually beneficial, and Minds Aglow, Tempt with Vengeance, and Tempt with Reflections can all help you feed off of the group's efforts. Why do you run Opal Palace? 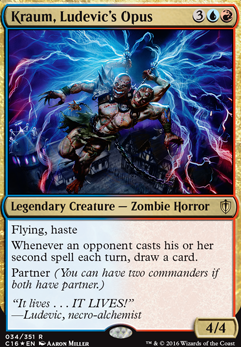 Is it just used as a color fixer, or are the +1/+1 counters there to support Kraum, Ludevic's Opus? 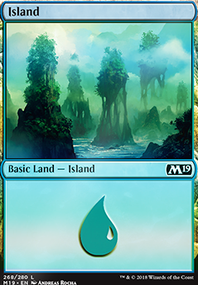 While on the subject of lands I did some web surfing to find cards that can (effectively) put lands into play at instant speed I found Terrain Generator (although it only hits basics). 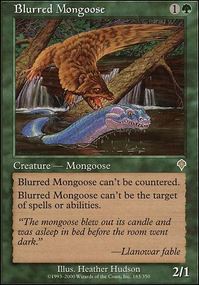 Would you ever consider this card, or is it too slow when compared the the likes of Myriad Landscape? I also would just like to further understand the way the deck usually plays and how you pilot it into both the mid and late game.